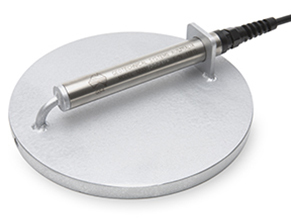 The Earth Pressure Monitoring series consists of Pressure Cells to measure earth pressure in embankments, dams, retaining walls, abutments and other similar applications. They are basically two flat plates of various sizes, depending on application, welded together around their periphery. The space between these plates is filled with an incompressible fluid and connected to a transducer of choice. These are usually a vibrating wire pressure transducer. Ideal long term instrumentation, easily connected to automatic data acquisition systems.